These oven baked pork chops are truly delicious, and they’re a perfect “comfort” dish on fall and winter evenings. Covered with cream of mushroom soup during the last half-hour of baking, they’re sure to bring many smiles to many satisfied faces! Follow CentsLessDeals on Pinterest for more great tips, ideas and recipes! To get the best results from all pork chop recipes, you really need to start with the best pork chops. Whether your cooked meat comes out fork tender will depend mostly on the cut of pork you choose. Not all pork chops are alike — some are fatty, some are lean. I’ve found that the best cuts to use for oven baked pork chops are the bone-in blade chop, shoulder chop, or sirloin chop simply because they’re the most tender cuts. You can definitely use leaner cuts of pork in this recipe, it’s just that the meat won’t come out as tender. Whichever chops you choose, make sure they’re pale-pink in color (shoulder chops might be a little darker). Also, the chops you choose should look a little marbled (pink meat with white fat); the less marbled they appear, the leaner the pork chops. 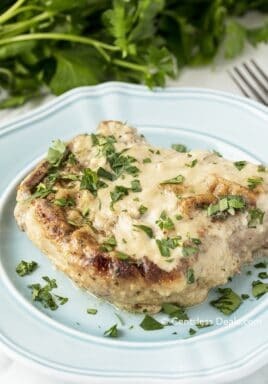 What makes these oven baked pork chops so wonderful is that they’re breaded before you cook them, which creates a delicious flavor and gives them a nice, smooth texture when you cover them with cream of mushroom soup that’s been combined with a little Worcestershire sauce and chicken broth, just . . . yummy! Read through the recipe a couple times just to get familiar with the basic steps involved. Before starting, measure and lay out all of your ingredients, including three separate bowls for the flour, eggs, and bread crumbs. Doing this first will make the whole process a snap! You don’t need to oil your baking dish for this recipe! Cover your pork chops during the last 25-30 minutes of baking time (after the soup mixture has been added). 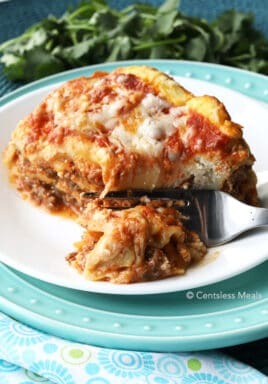 I really think you’ll enjoy putting this dish together, and I know you’ll truly love the results! 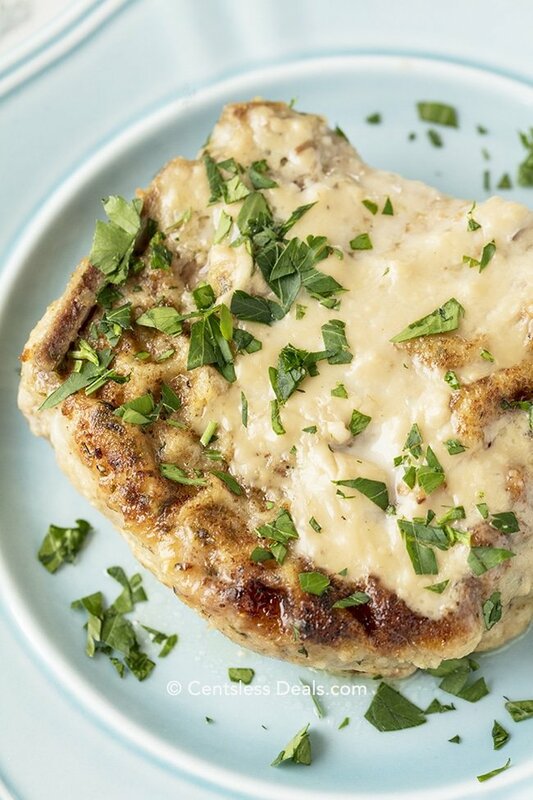 Serve these oven baked pork chops with your favorite variety of rice, mashed potatoes or roasted potatoes, along with a side vegetable or salad for a luscious dinner. 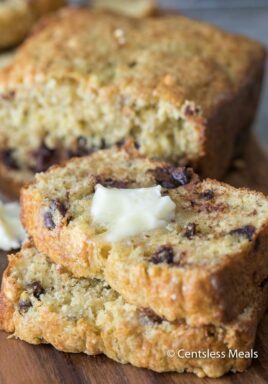 You can bet that this recipe will become a favorite in your household! 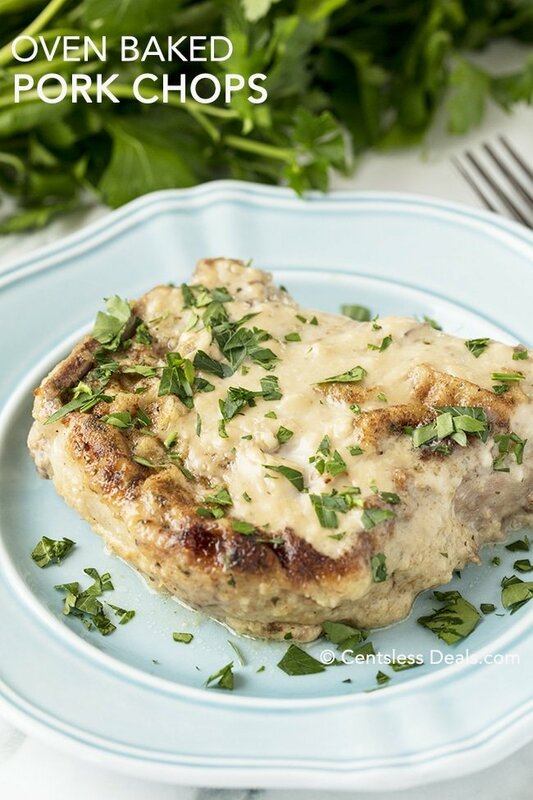 These oven baked pork chops are the perfect “comfort” dish on fall and winter evenings. Covered with cream of mushroom soup during the last half-hour of baking, they are tender and delicious! Place the beaten eggs in a small bowl. Combine flour and seasonings. Dredge the pork chops in flour, egg, and breadcrumbs. Heat about 1 tablespoon olive oil in a pan over medium-high heat. Lightly brown each side adding more oil as needed. Place in a 9 x 13 baking dish, and cover with foil. Bake 35 min. While baking, combine the cream of mushroom soup, milk Worcestershire and broth in a medium bowl. After 35 min top with soup mixture, cover and bake an additional 25-30 minutes or until fork tender. You should see the nutritional information there now Ginny! My mother used to make this when I was young. 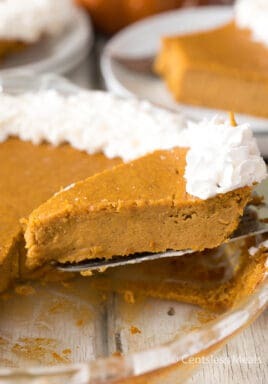 I remember her using flour, beaten egg, and crushed saltine crackers to coat them, then browning them in our cast iron skillet, then mixing up some cream of mushroom soup with milk and seasonings, pouring it over the chops in the skillet, then putting the whole thing in the oven with a lid on it. LOVED THEM! Fork tender. We had rice and peas with them. This was during WWII. Step 3, how many bowls are in this? Is it all one step, are there three different bowls to dredge? One, two? Can you break this up and make it clear exactly what we need to do please. There are three bowls. First dip in the flour mixture, next the eggs, and third the breadcrumbs. Hope that helps, Scott! It says to cover the porkchops after the soup has been added, then later it says to cover the pan after the pork chops have been browned. I’m confused. You cover during the entire baking process (both before and after adding the soup). The cook time at the top is 25 minutes. the instructions say bake 35 minutes, then add soup mixture and bake additional 25-30 minutes. This is over an hour of baking? Won\t they be overcooked? Can you clairfy the total cooking time. I am thinking that an hour of baking may overcook the pork. The total baking time is one hour. I’ve updated – thank you Cobie!